During 18 years as a Democratic congressman, 16 more as West Virginia secretary of state, and a final act as a do-gooder without portfolio, Dr. Hechler never tired of crusades. “I used to be an agitator, then an activist,” he wrote at age 94, in 2009. “Now I am a hellraiser.” This was soon after he was arrested while protesting mountaintop removal. In 2001, Hechler received an honorary degree from Swarthmore. He sang his acceptance speech to the tune of the College’s alma mater, which he rewrote for the occasion (lyrics below). 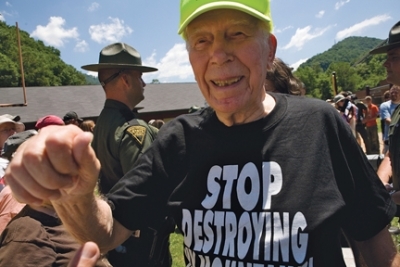 Hechler last spoke on campus in 2011 about mountaintop removal coal mining and the struggles of Appalachian communities to stop the practice. show the world you care! that should be your goal. and their points of view. can’t you hear her cry? or the earth will die. feed and house the poor. 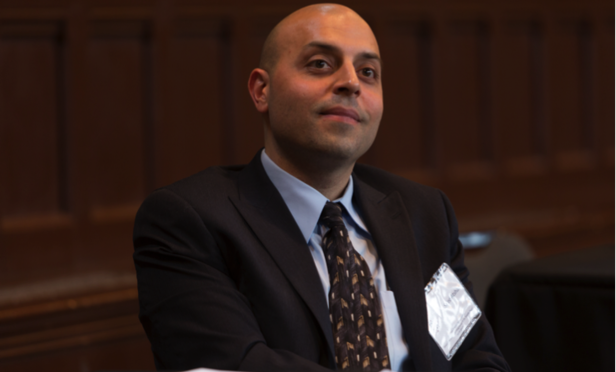 We are thrilled to announce that Dr. Sa’ed Atshan’s visiting position in the Peace and Conflict Studies program has been converted into the program’s first full-time tenure-track position. Dr. Atshan has also provided important programming. He has brought a steady stream of outstanding speakers and sponsored two film festivals in conjunction with his Israeli-Palestinian Conflict course. That course also includes an exceptional 10-day trip to the region. 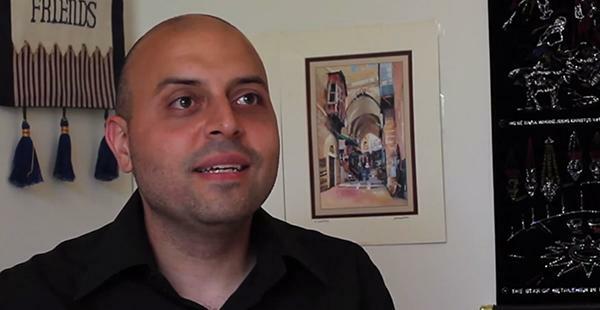 Dr. Atshan graduated from Harvard University in 2013 with a Ph.D. in Anthropology and Middle Eastern Studies. He holds an M.A. in Social Anthropology from Harvard, an MPP from the Harvard Kennedy School, and a B.A. in Political Science and Middle Eastern Studies from Swarthmore College. Before taking up a visiting position last year, Prof. Atshan held a post-doctoral fellowship at the Watson Institute for International Studies at Brown University. Dr. Atshan designed and taught courses at Harvard and Brown on social movements in the Middle East and the Arab Spring, among other topics. He earned four of Harvard’s excellence in undergraduate teaching awards along the way. Sa’ed has been the recipient of multiple awards and fellowships from important organizations that include the National Science Foundation, the Woodrow Wilson National Fellowship Foundation, Social Science Research Council, and the Paul and Daisy Soros Foundation, and in 2009, he was awarded a Kathryn Davis Fellowship for Peace. In addition to his work on humanitarian politics and aid intervention, Atshan has conducted research into nonviolent Israeli and Palestinian social movements, countering old characterizations of nonviolence as foreign to the region. Instead he discovers and reveals “co-resistance” or coalition and joint struggles for social justice between Israeli and Palestinian activists. Professor Atshan has worked with a range of organizations that include Human Rights Watch, the American Civil Liberties Union, the UN High Commissioner for Refugees, Seeds of Peace International Camp, the Palestinian Negotiations Affairs Department, and Medical Aid for Palestinians, all indicating his commitment to the practical pursuit of peace and justice to which our field aspires. The creation of Prof. Atshan’s position is truly a historic moment for the Peace and Conflict Studies Program and for Swarthmore College, where the first peace studies course in higher education was taught in 1888.